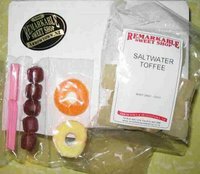 This is a packet of Lollies all the way from the Remarkable Sweet Shop in Arrowtown in Central Otago in New Zealand. 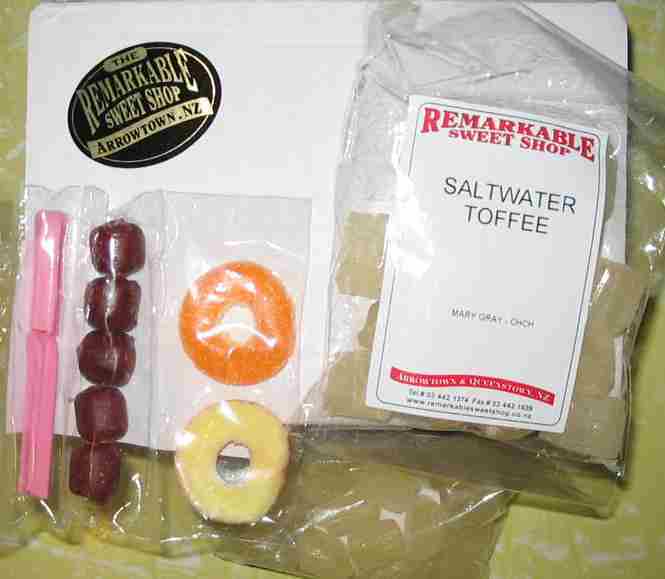 I have been searching for many years for Saltwater Toffees and through the wonders of Google here they are. This little parcel arrived yesterday with two packets of the lovely lollies and a few samples to tempt me further. They are an acquired taste - a salty sweet combination. I used to save up my pennies to buy them from the H&J Smiths department store in Gore when I was at school and have not seen them for a long, long time.